Viknesh Vijayenthiran December 14, 2015 Comment Now! 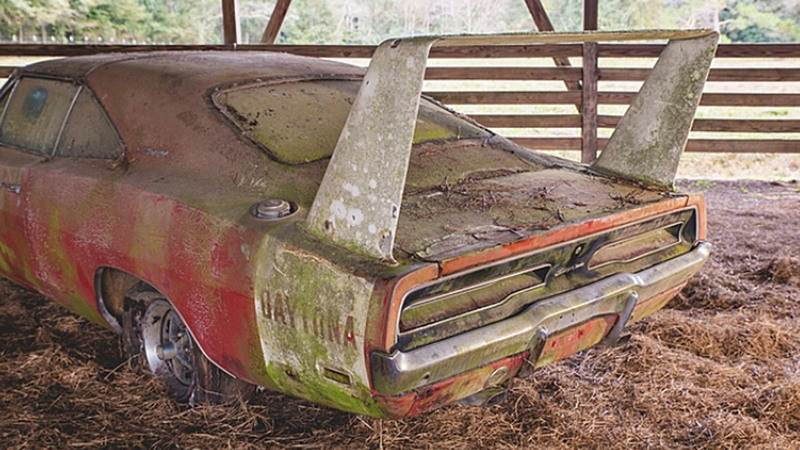 The original Dodge Charger Daytona was never a huge hit but today examples can sell for hundreds of thousands of dollars. Getting a six-figure sum for this one, though, could be a tough task. The car is set to go under the hammer at a Mecum Auctions event in Kissimmee, Florida next month and the current estimate is $150,000-$180,000. And, yes, it has a lot going for it. 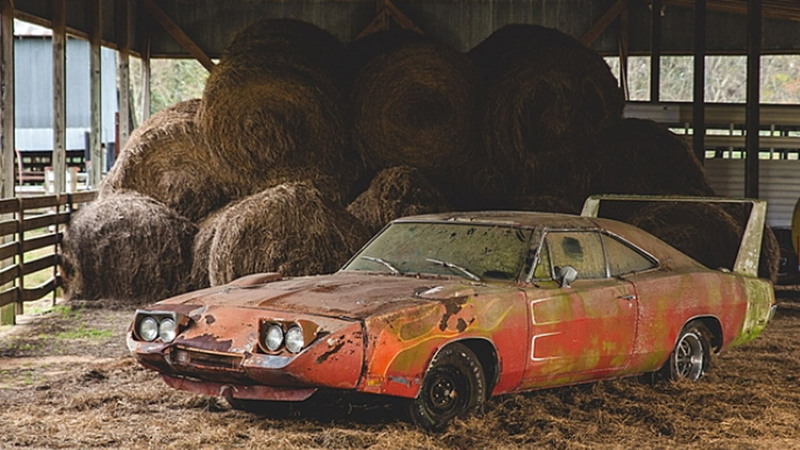 For starters, the Charger Daytona was only built for one year, and this one is a numbers matching example with many of its original pieces (503 were produced in 1969). The paint has been changed, though, as the car came from the factory in cherry red with white stripes. Under the hood is the famous Dodge 440 Magnum V-8, which is mated to a three-speed TorqueFlite automatic. 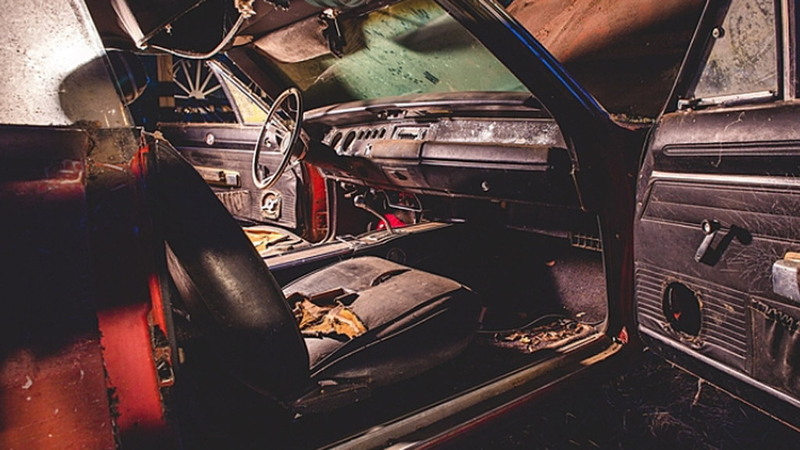 Some of the special features that originally came with the car include headrest-equipped bucket seats, a factory-chromed floor shifter in the center console, and the intact dash cluster with clock/tach assembly. However, the years have clearly got to it. 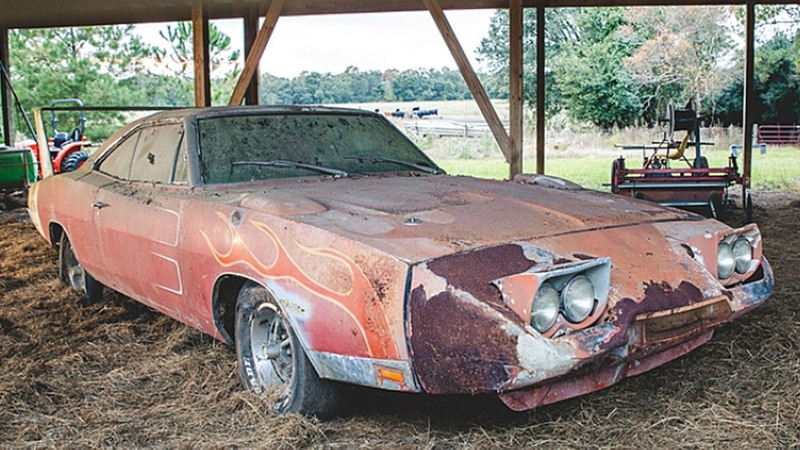 Judging from the images, many elements will need to be completely replaced—should the buyer want to restore it—and that will likely cost some big bucks plus hurt the untouched factor. The car was bought new by a judge in Alabama, apparently for his wife. She must not have liked it as the judge ended up selling the car in 1974. The second owner kept the car up until recently. Its odometer reading is just 20,533 miles. 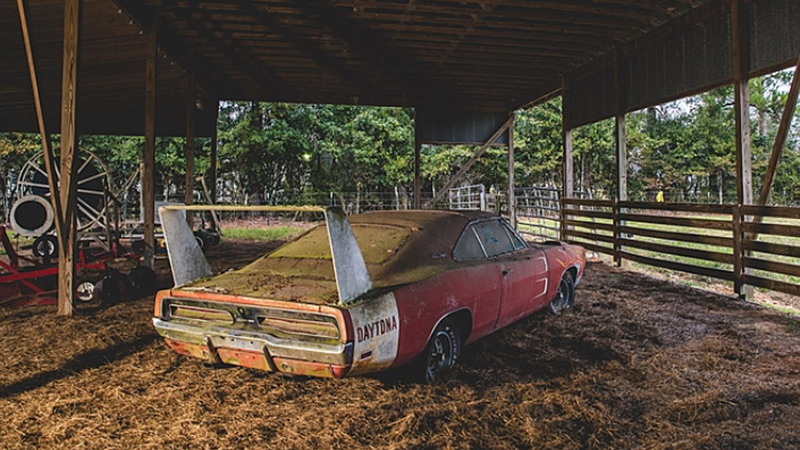 Mecum’s Kissimmee auction runs from January 14-24, 2016. Some of the other highlights include a 1970 Plymouth Superbird (the successor to the Charger Daytona), a 1968 Chevrolet Corvette L88, and a Daytona 24 Hours-winning 1989 Porsche 962.